Did anyone get a whiff of the coming generational debate that people have been saying was 'coming' for the past 30 years in Paul Ryan's acceptance speech? It was more like a hot blast from an open furnace, wasn't it? For the past 30 years, we have been hearing from economic experts that the current state of entitlements in America were 'unsustainable'; 'on a growth path that will crowd out everything else' and 'had to be reformed'. 30 years. That's a long, long time, people. Three decades. When Ronald Reagan took office. We hate to inform this 'expert' but apparently we have not been smart enough to head off the funding crisis of Medicare and Medicaid at the pass and neither have we been smart enough to deal with the cost drivers underlying health care inflation in general. Obamacare took a complete pass at even talking about these important factors. It was as bad as seeing President Obama whiff on the first tee playing golf one day. Instead, President Obama and the Democrat Congress in total charge at the time (2009-2010) chose to cover their eyes and ears and mouths like the 'See No Evil, Hear No Evil, Speak No Evil' mystic apes of Japan and wished, hoped and prayed that health care inflation would 'just go away!' because they say it should. Well, last night, you heard the 'shots heard round the country' from Paul Ryan's speech on the debate that has needed to be made out in public for these past 30 years. You know how long the Founders took to actually even allow a debate on the 's-word' (slavery) when they wrote the US Constitution? 21 years. There is not one single word calling it 'slavery' or talking about 'slaves' in the entire Constitution....even the Founders knew how bad the institution of slavery truly was. 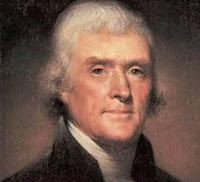 They could not bring themselves to embed the 's-word' in the same glorified document that amplified what Mr. Jefferson meant when he wrote the words 'All men are created equal' in the Declaration of Independence 12 years previous. After 1808, 21 years after the Constitution was written in 1787, they would finally allow amendments and legislation that would deal with the tricky issues of runaway slaves, importation of slaves and ownership of slaves. Because that would give the writers of the Constitution time to age out and perhaps die (life expectancy was about 2/3'rds of what it is today back then, if that). They wouldn't be around to deal with that thorny issue! Same deal with the current debate on Medicare. If you are under the age of 55 today, you will be affected by any changes to Medicare one way or another. 2) If Medicare is reformed like it could and should be reformed today, by the time you are eligible for it, it will be on a sustainable basis based on sound financial principles as it should have been all along since inception in 1965. Anything passed under a Romney/Ryan Administration (if President Obama and Veep Joe Biden were truly serious about saving and reforming Medicare, they would have already done it in the last 4 years, wouldn't they?) with a willing Congress will not fully phase-in until 2022 or so on Medicare at least. Well, Medicare is broke right now! Can't these people read or understand numbers? I swear, if I was 23 again, I might be in the Shays Rebellion of 2012, except this time it would be over the inequities of paying large amounts of payroll taxes into an unsustainable federal Medicare program that will not be there when I turn 65 in the Year 2054 unless it is massively reformed and improved right now. Thomas Jefferson was right. 'A Little Rebellion' every now in America is what has always refreshed our Republic when things just went not quite right, haven't they? Civil rights, women's suffrage...most every time Americans have 'rebelled', it has been to fight a concentration of power by some faction focused on maintaining power in government at all costs. The same thing is probably happening today as we speak. The creation and evolution of the Tea Party over the past 2 years has just been the canary in the mineshaft of the unease and unrest that most of the nation feels towards more concentration of power in Washington on the shores of the mighty Potomac River. How the Boomer Generation that grew up 'rebelling' against 'The Man! ', the Vietnam War, Big Government and everything else 'big' in the crazy '60's ever wound up worshiping at the altar of 'More Massive Government!' and wanting 'more control' by bureaucrats in Washington is simply beyond us. There was a poll taken by a reputable firm some years ago where more young people believed that aliens have landed on Planet Earth and are walking amongst us than believed that Social Security and Medicare would be there for them when they retired. Have you listened to Chris Matthews lately? They might be right. The time to talk about reforming and changing Medicare and Social Security for future generations is now. Try to focus on the substance of the arguments and not the fulminations of tv cable show talk show hosts.